This exhibition will tell the story of studio pottery in Britain, from the 1920s to the present, through the evolution of the vessel form. Jar, bowl, charger, monumental urn: this family of forms ties ceramics to its functional origins. 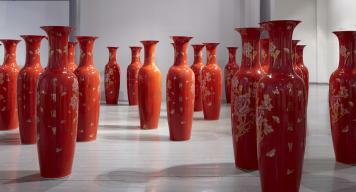 Clare Twomey's work Made in China, will be exhibited in this exhibition. A series of ceramic plates made at the Victoria & Albert Museum by Clare Twomey will be exhibited alongside with the work of Martin Smith ,Ken Eastman ,Rod Bugg. 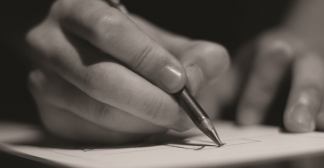 Artist Clare Twomey invites visitors to the Museum to create a handwritten copy of Wuthering Heights. The original manuscript for Emily’s famous novel no longer survives, but in this new commission for the Brontë Parsonage Museum, over ten thousand visitors will each be invited to copy one line from the novel into a handmade book to be exhibited during 2018, Emily Brontë’s bicentenary year. This groundbreaking book is the first to provide a critical overview of the relationship between contemporary ceramics and curatorial practice in museum culture. Ceramic objects form a major part of museum collections, with connections to anthropology, archaeology and other disciplines that engage with the cultural and social history of humankind. The Ceramics Reader is an impressive collection of essays and text extracts which covers all the key areas of ceramics – both past and present. It focuses on thoughts and discussions within ceramics from the last 20-30 years in particular, but also gives the reader a broad overview of the last 100 years. Stephen Fry joins a diverse group of British artists and Holocaust and genocide survivors in launching a major new arts project in which survivors’ stories will be interpreted and explored through writing, poetry, film, ceramics, illustration and collage. 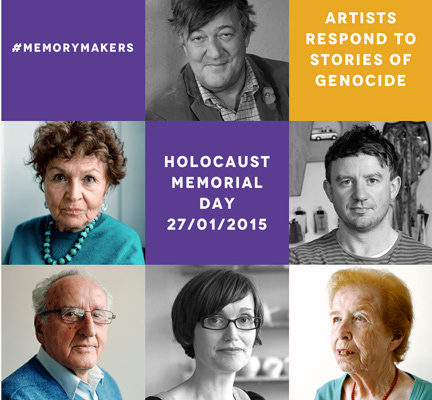 The Memory Makers project is pairing seven artists with survivors of genocide living in the UK. The artists have partnered with survivors to hear their remarkable life stories, before creating a work of art that captures the experience of the meeting. Ceramicist Clare Twomey met Nisad ‘Šiško’ Jakupović, who survived the notorious Omarska concentration camp during the Bosnian War. Nisad experienced the horror of communities turning on one another as school friends became oppressors. The pair discussed Nisad’s experience of the camps, and how human solidarity can triumph even in horrific circumstances. A major new exhibition of ceramics with new commissions and the restaging of iconic works in clay..
Clare Twomey has made a site specific work that extends across the whole of the Art Museum, this sculptural work was commissioned to run along side the exhibition - Overthrown: Clay Without Limits. In the exhibition Overthrown many of the works are in direct dialogue with our dynamic Daniel Libeskind-designed architecture; they move beyond the pedestal to the wall, the floor, and even the ceiling. A few extend beyond the Anschutz Gallery, across the entire museum complex. They break boundaries that are physical, technological, conceptual, and spatial.